Increasing numbers of regional, multiple species conservation plans have been developed in California since the early 1990s. However, building effective monitoring and adaptive management programs to support these plans has remained a challenge. In addition to collecting data on the status of resources and the results of management actions, monitoring programs for these plans need to resolve critical uncertainties and channel information into effective decisionmaking. Because of the broad goals of many regional conservation plans, monitoring programs need to address ecosystem integrity and biodiversity while also tracking species “covered” by plan permits. 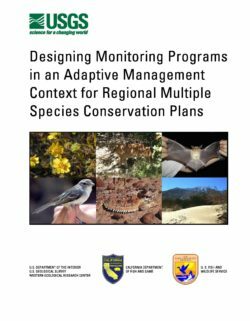 In this document we provide a step-by-step procedure for developing effective monitoring programs in an adaptive management context. The guidance provided here has been gleaned from experience with large multiple species plans in southern California. The process begins with clearly defining program objectives, partitioning the program into manageable but meaningful pieces, and developing management-oriented conceptual models of system function. Then, based on the objectives and conceptual models, monitoring recommendations and critical uncertainties can be identified and a coordinated program designed. We include practical examples and insights from programs in southern California and discuss the evolution of monitoring and adaptive management programs through three successive stages: 1) inventorying resources and identifying relationships; 2) pilot testing of long-term monitoring and resolving critical management uncertainties; and 3) implementing long-term monitoring and adaptive management. Ultimately, the success of regional conservation planning depends on the ability of monitoring programs to confront the challenges of adaptively managing and monitoring complex ecosystems and diverse arrays of sensitive species. SUMMARY: We, the U.S. Fish and Wildlife Service (Service or USFWS), announce the final Endangered Species Act (ESA) Compensatory Mitigation Policy. The new policy steps down and implements recent Executive Office, Department of the Interior, and Service mitigation policies that reflect a shift from project-by-project to landscape-scale approaches to planning and implementing compensatory mitigation. The new policy is established to improve consistency and effectiveness in the use of compensatory mitigation as recommended or required under the ESA. The ESA Compensatory Mitigation Policy covers permittee-responsible mitigation, conservation banking, in-lieu fee programs, and other third-party mitigation mechanisms, and stresses the need to hold all compensatory mitigation mechanisms to equivalent and effective standards. DATES: This policy is effective on December 27, 2016. The Santa Ana Watershed Basin Study (Basin Study) is a collaborative effort by the Santa Ana Watershed Project Authority (SAWPA) and the Bureau of Reclamation (Reclamation), authorized under the Sustain and Manage America's Resources for Tomorrow SECURE Water Act (Title IX, Subtitle F of Public Law 111-11). The Basin Study complements SAWPA’s Integrated Regional Water Management (IRWM) planning process, also known as their “One Water One Watershed” (OWOW) Plan. It refines the watershed’s water projections, and identifies potential adaptation strategies, in light of projected effects of climate change. 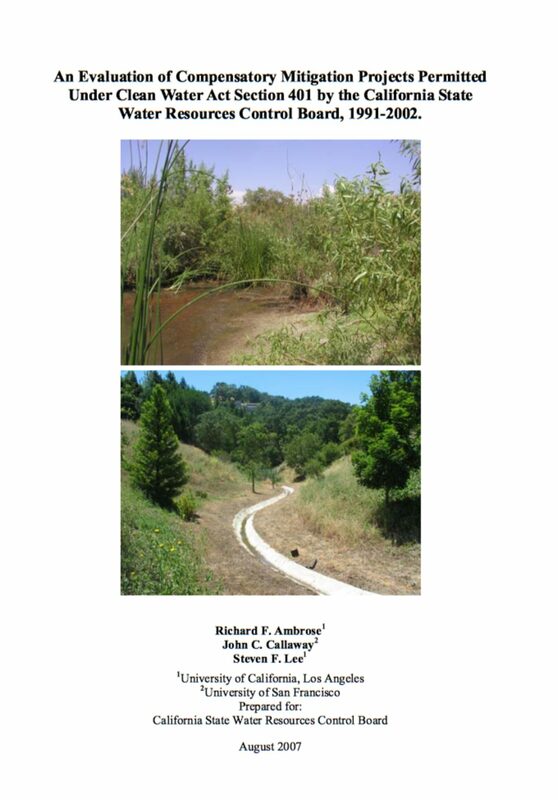 The Climate Change Analysis for the Santa Ana River Watershed (SARW) is a contributing section to the Basin Study. The Greenhouse Gas (GHG) Emissions Calculator was developed as a tool to support the Climate Change Analysis. It was developed to evaluate mitigation strategies, while the Climate Change Analysis focused primarily on adaption and vulnerability analysis. Development of the tool began in 2012 and was completed in August 2013. This report explains the methods used to develop the calculator and provides instructions on how to use it by introducing examples. The examples focus on the SARW to show how to develop a GHG emissions baseline, evaluate what it would take to meet specific GHG emission reduction goals, and illustrate how the GHG Emissions Calculator can be used to analyze projects. Chapter 1 provides an introduction to the project, a literature review, and a summary of California’s GHG legislation. The methods used in the GHG Emissions Calculator can be found in Chapter 2. A guide showing users what data is needed and how to enter that data can be found in Chapter 3. Chapter 4 provides an introduction to the SARW, the GHG emission baseline for the SARW, discusses varies scenarios to reduce GHG emissions, and compares those reduction scenarios. In Chapter 5 SAWPA’s 20 finalist for the Integrated Regional Water Management (IRWM) funding were analyzed using the GHG Emissions Calculator. The GHG Emission Calculator is a decision-making tool that can be used to explore the links between water resources, energy, and GHG emissions. It can be used to determine water supply and energy demands for the study area, in addition to GHG emissions from 1990 to 2050. It can be used to analyze a study area ranging from a city block to an entire watershed, regardless of the level of detailed data available. 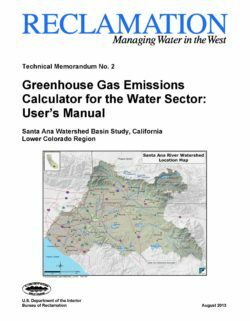 The GHG Emissions calculator is a vital tool for decision makers when developing water supply plans for the future. It is also equipped to evaluate long term GHG emission reduction potential for new projects that will alter the water supply portfolio. Raw seawater is used for a variety of purposes, including as source water for desalination plants and to cool coastal power plants. Raw seawater is, however, not just cold and salty but an ecosystem that contains diverse and abundant organisms including the young stages of numerous invertebrates and fishes. Whether impinged (large individuals stuck on screens prior to entering the plant or killed during other plant processes such as heat treatment) or entrained (small individuals carried into the plant with the water) the organisms are killed, essentially eliminating the living production in the water used (review in York and Foster 2005). 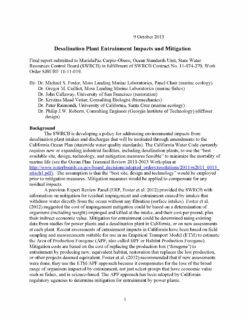 Considerable research has have been done in California to better estimate losses to this ecosystem by coastal power plant intakes (York and Foster 2005, Steinbeck et al. 2007), and to determine how these losses can be mitigated (Strange et al. 2004). 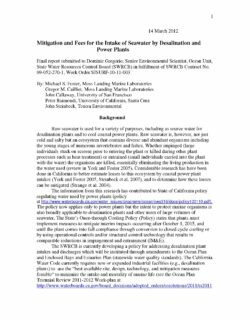 The information from this research has contributed to State of California policy regulating water used by power plants. The policy now applies only to power plants but the intent to protect marine organisms is also broadly applicable to desalination plants and other users of large volumes of seawater. The State’s Once-through Cooling Policy (Policy) states that plants must implement measures to mitigate interim impacts occurring after October 1, 2015, and until the plant comes into full compliance through conversion to closed cycle cooling or by using operational controls and/or structural control technology that results in comparable reductions in impingement and entrainment (IM&E). ENTRIX, Inc. was contracted by the Cooperating Agencies to perform an analysis of surface water and groundwater hydrology in the Ventura River basin as part of the Habitat Conservation Plan (HCP) for the Ventura River in Ventura County, California. The Cooperating Agencies consist of the County of Ventura, the Ventura County Flood Control District (VCFCD), the City of San Buenaventura, the Casitas Municipal Water District (Casitas), the Meiners Oaks County Water District (MOCWD), the Ojai Valley Sanitary District (OVSD), the Ojai Basin Groundwater Management Agency, the Southern California Water Company (SCWC), the Ventura County Water Agency, and the City of Ojai. These agencies all operate and maintain facilities that may affect sensitive biological resources along the Ventura River. To comply with the Endangered Species Act (ESA), the agencies are developing a HCP in consultation with the National Marine Fisheries Service (NMFS) and U.S. 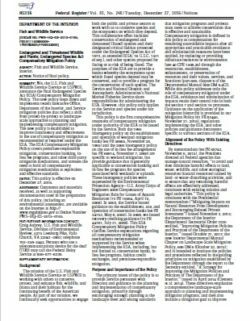 Fish and Wildlife Service (USFWS) to serve as the basis for an Incidental Take Permit. 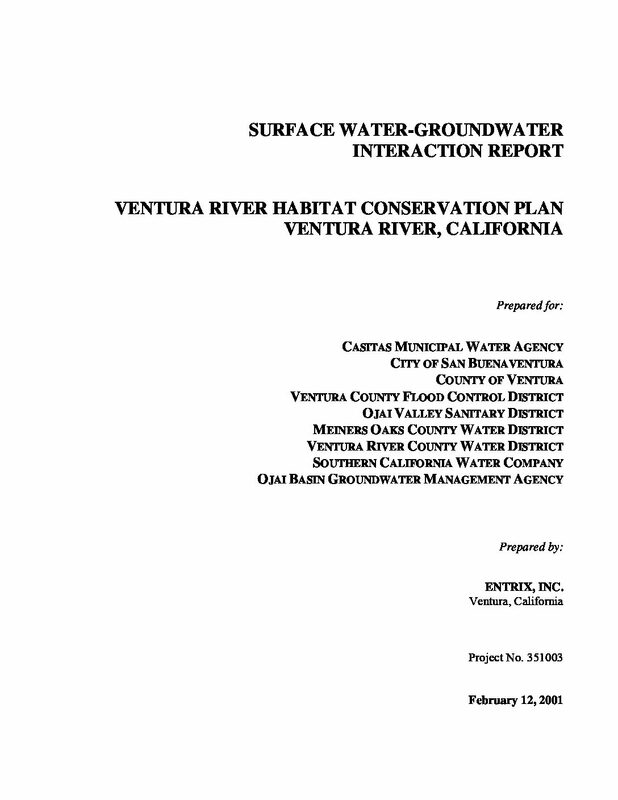 The objectives of the surface water-groundwater interaction evaluation, outlined in The Ventura River Habitat Conservation Plan Technical Approach dated March 30, 2000, are to develop an improved understanding of the hydrologic system dynamics and determine the likelihood of groundwater pumping impacts on surface flows, based on available empirical data. The scope of work involved collecting and evaluating available surface flow and groundwater data and prior analyses of the surface and groundwater system. The focus of the evaluation was on the river reaches where the Cooperating Agencies can affect flow. The availability of concurrent surface flow and groundwater data determined the study period(s) and specific reaches analyzed. The study is focused on the Upper Ventura River and San Antonio Creek basins, and a brief discussion is also included for the Ojai Valley groundwater basin. The data reviewed as part of the evaluation included seasonal changes in groundwater levels and groundwater storage, groundwater flow relationships, and estimated contributions from groundwater to surface water.